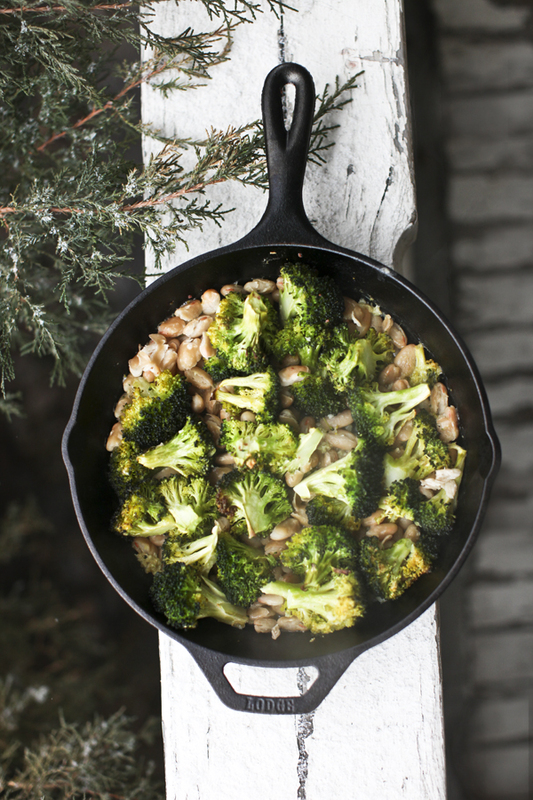 Baked Cannellini Beans & Broccoli — Cohabitate Co. I am always trying to put together simple dishes for a quick lunch, or as an easy side for supper. Often times these thrown together meals are literally items thrown in to a pot from whatever I have left in my cabinets. Cannellini beans are not a bean that I grew up eating, but they are now a staple among my dry goods. They have a light nutty flavor that I enjoy and go well with just about any vegetable, and in salads too. Although this recipe for 'baked beans' is a bit different than traditional baked beans I grew up eating in the South, they are a delicious addition to any meal. The timing for this recipe is based on if you are using already cooked or canned beans. I had some beans left over from a salad that I made, so I used those. If you are using dried beans, you will need to soak and cook your beans first. 1 1/2c. dry cannelloni beans equals about 2 1/2 c. cooked beans. Start by soaking your beans overnight. Wash and drain your beans and then cook just covered with water, for about 1hr. 15min. Once your beans are ready, cooked or canned, simply place your beans in a baking dish with canned liquid or about 1/4 c. liquid from your cooked beans. Wash and cut your broccoli into desired sizes. Add minced garlic and olive oil and mix together. Then sprinkle with your favorite sea salt. Preheat your oven to 375°, and bake uncovered for 20-25 minutes. 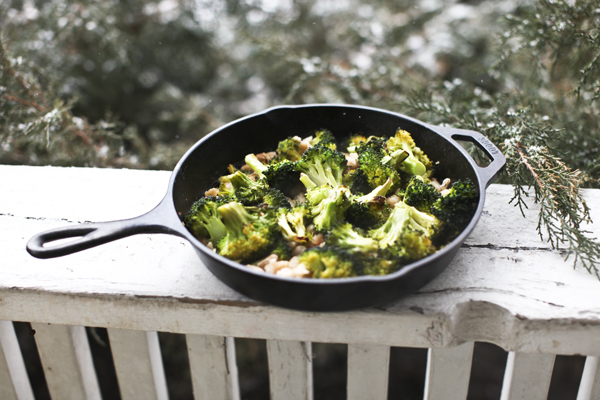 I like for my broccoli to get a little brown on the edges. Top with a little shredded cheese, hot sauce, or for a true baked bean experience, a little bacon. Enjoy!